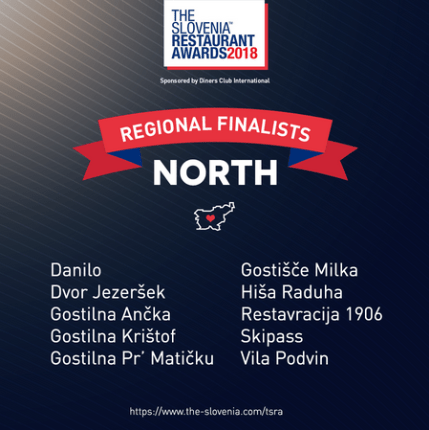 THE Slovenia is proud to announce the finalists for the 2018 Restaurant Awards. With over 165 restaurants and establishments taking part this year, competition has been high and participants have excelled themselves in giving voters an outstanding selection of top class foods to sample. Don’t forget to check in on Tuesday 27 March when the overall winners will be announced and presented with their awards.